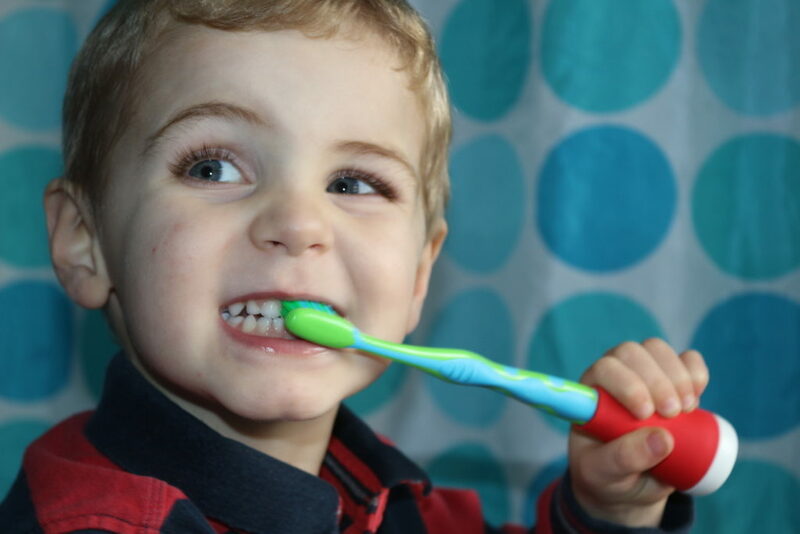 If your children are anything like mine (or in fact all the children I’ve met), then getting them to brush their teeth is probably a struggle. Dental hygiene is really important… but let’s face it, it’s boring, they lose interest quickly and the suggested 2 minutes of brushing twice a day seems like a long time even as an adult. Mornings in particular tend to be a fraught affair, and anything that makes getting out of the house that bit easier is more than welcome! 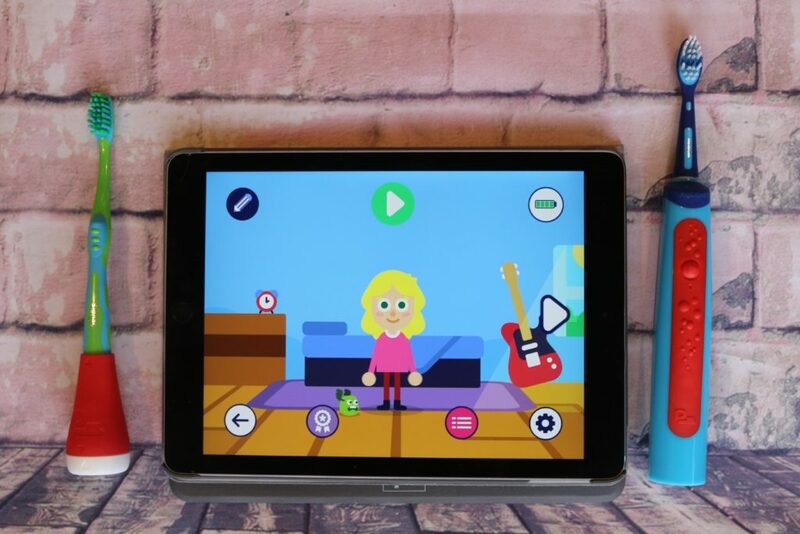 Enter the Playbrush and the Playbrush Smart Sonic children’s electric toothbrush from Signal. 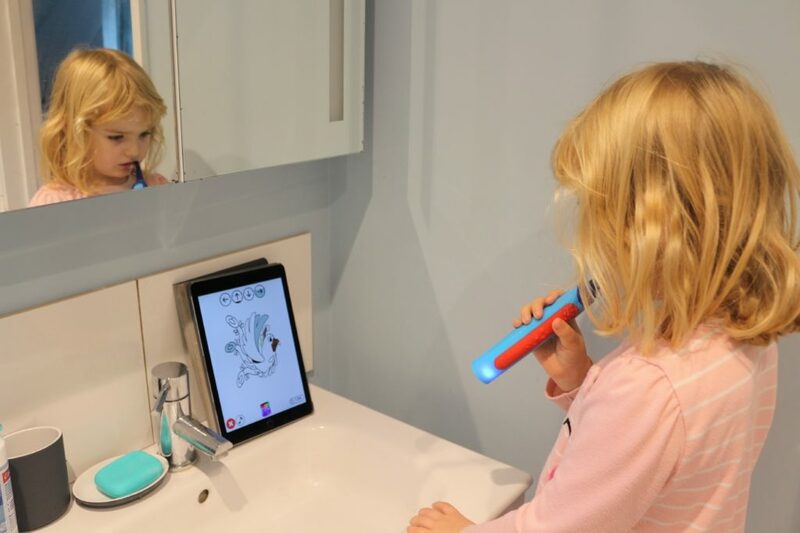 Suitable for children from 3 years old, the manual Playbrush and Playbrush Smart Sonic electric toothbrush both connect to an app on your phone or iPad via bluetooth. 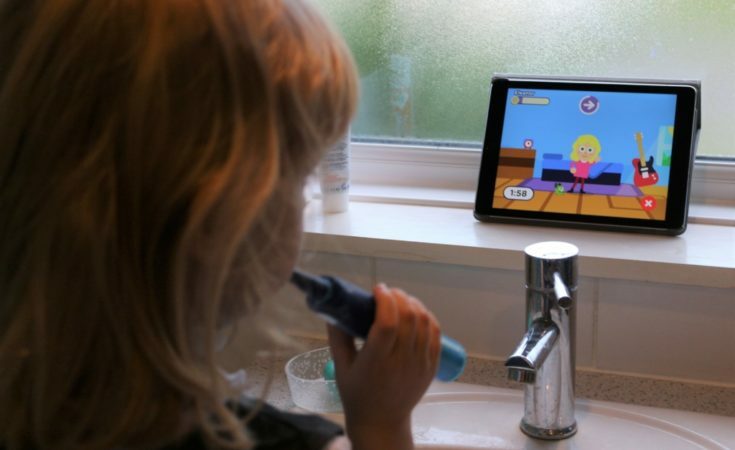 These smart little devices promise to quell the daily tantrums over tooth brushing, making mornings and bedtime routines easier. 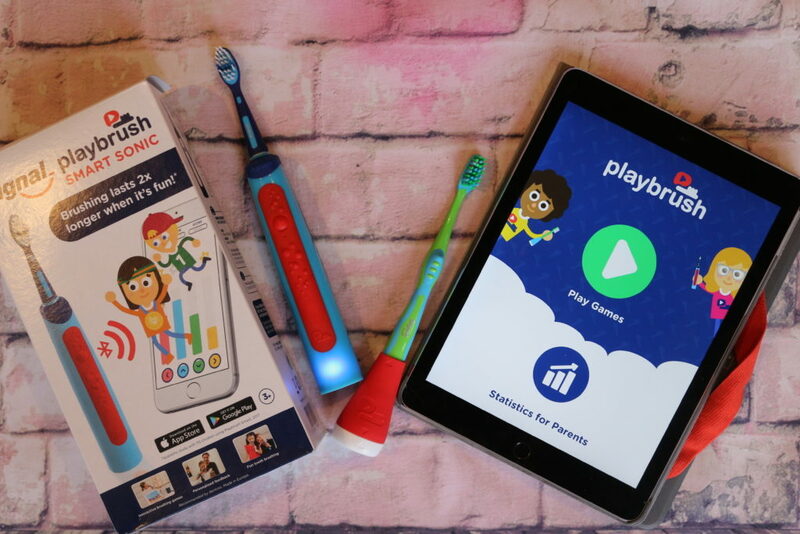 The Playbrush encourages children to enjoy brushing all the way around their mouth with cleverly designed games, bright graphics and the promise of earning points which can be spent on Playbrush games or subscriptions, or kept via Paypal. We were sent a Playbrush Smart Sonic electric toothbrush and a standard Playbrush to test out. 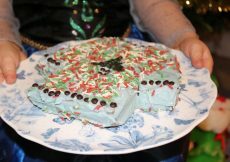 My daughter had the Playbrush Smart Sonic, which is suitable from 3 but recommended for slightly older children. The Playbrush Smart Sonic electric toothbush has two modes for softer and harder cleaning. The clever electric toothbrush takes all sorts of measurements which show how well you’re brushing, and cleans teeth at 17000 strokes per minute. My son had the Playbrush manual, a neat little device which slots on to your child’s manual toothbrush. 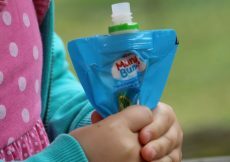 This is a good choice for younger children who need more gentle brushing. 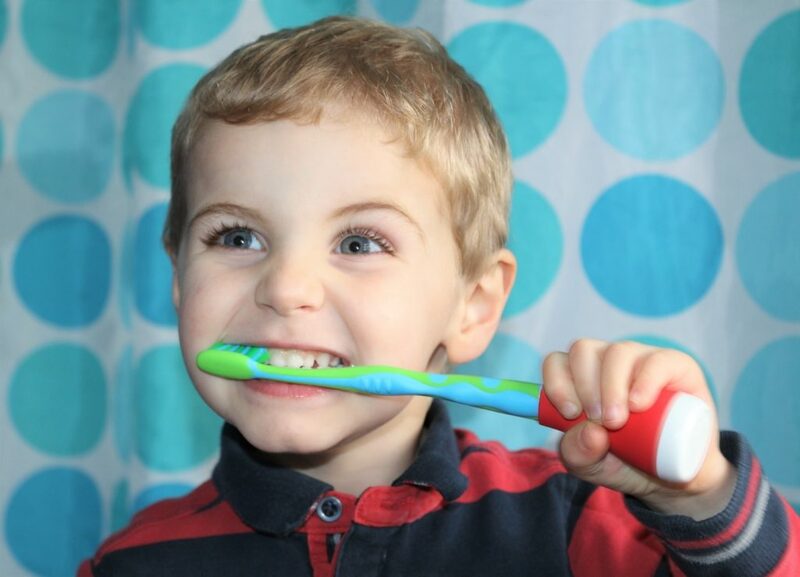 Charge it up and slot your toothbrush in to make any toothbrush a Playbrush! 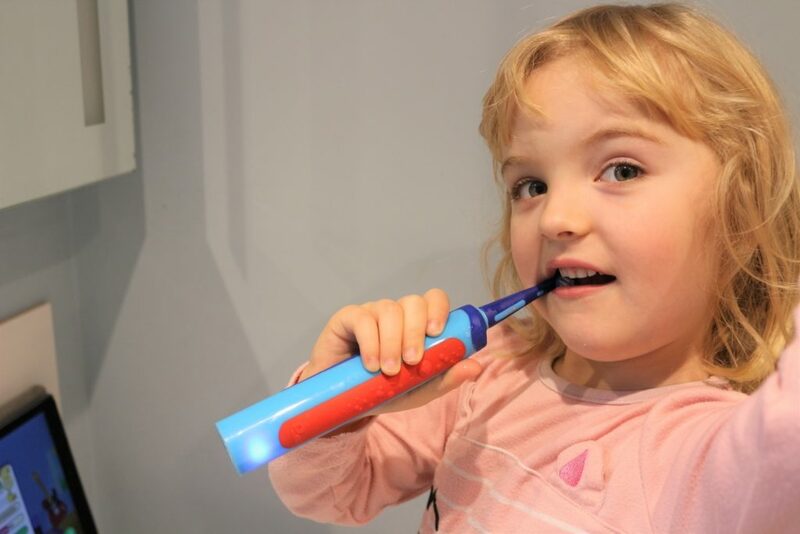 It comes with a Signal toothbrush but will fit onto any standard child’s toothbrush. The Playbrush app is free to download and comes with several games. If you want to access the extra games then you need a subscription costing £34.99 for a year which comes with a new brush head every six weeks, or if you have the manual toothbrush it costs £24.99 for the year. You can make multiple profiles on the same account. 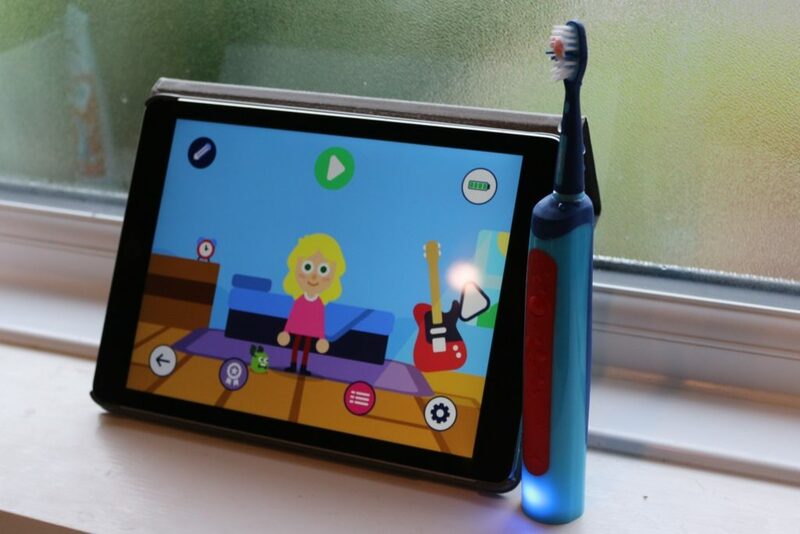 I would recommend that parents have a little play with the app beforehand, as it can seem a bit complicated when you’re operating under pressure (ie when the kids are there, poised with toothbrushes in mouths!) but is really easy to use once you know how to connect the Playbrushes (by touching the grey brush and wiggling the Playbrush about near the device worked for us) and how to open and play each game. 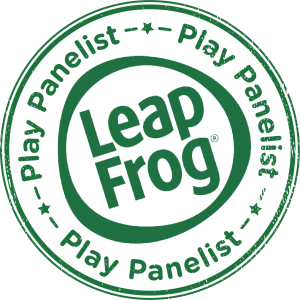 The variety is good; there are games suitable for younger and older children, ones that will appeal to girls and boys. Our favourite hands down was Utoothia Dance, which is one of the subscription games. You earn points by brushing in the direction shown whilst dancing! 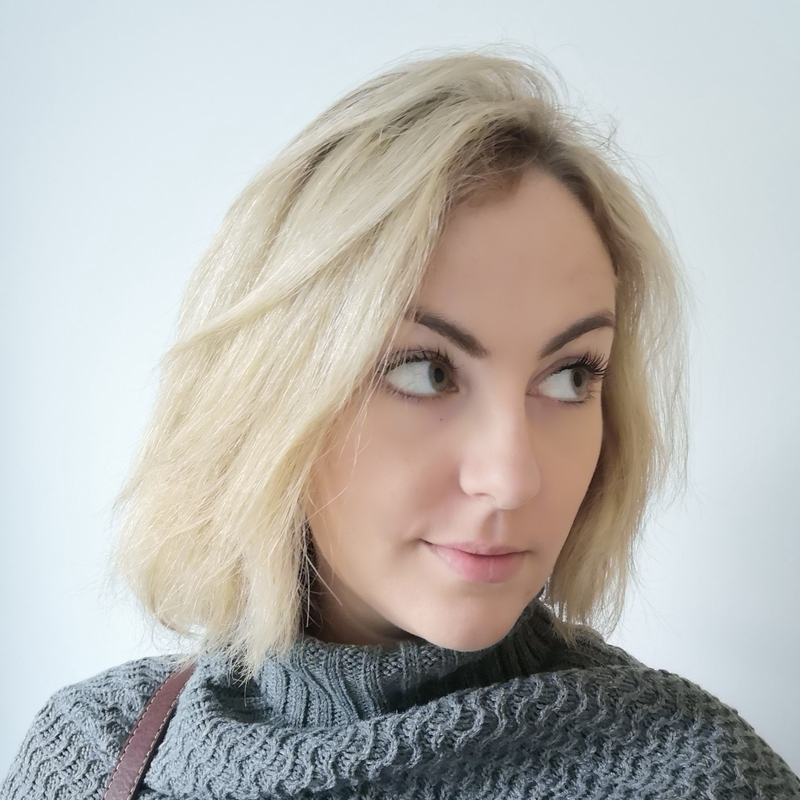 The best bit is that you can have a two player game and the kids love trying to beat each others’ scores by being the best brusher – sibling rivalry can be a huge pain but it can also be quite handy at times like this. Other games we liked a lot included the Utoothia Magic where a pink-haired princess fairy has to shoot magic at purple one-eyed monsters, and Utoothia Paint where brushing in different directions will colour in the picture. The Playbrush is a great idea! If you have the subscription, there are enough games that the novelty won’t wear off quickly, and there is a leaderboard so you can beat your own high scores and your friends or siblings. 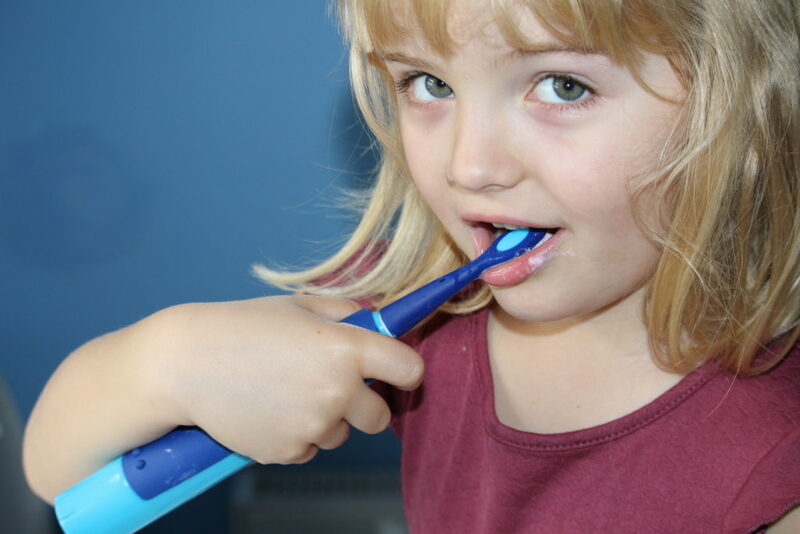 For parents there are statistics to tell you how well your child is brushing. 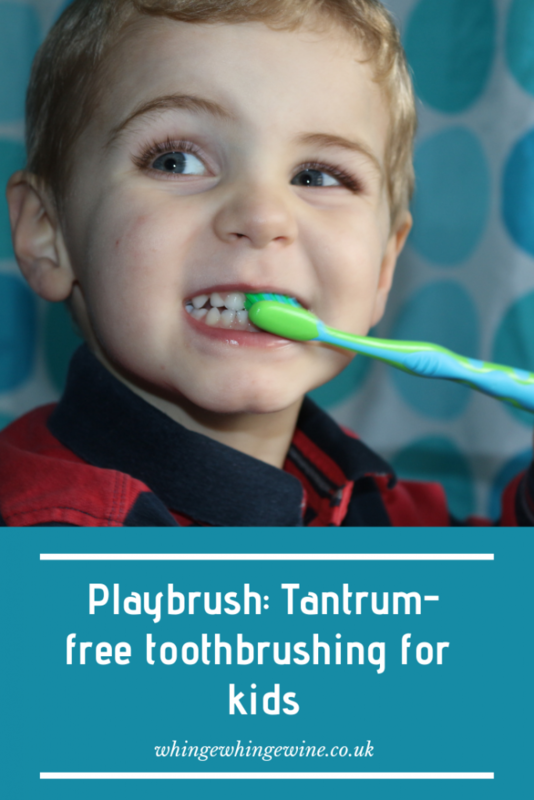 Tooth brushing no longer feels like a huge chore; the Playbrush has definitely made our mornings run smoother. It’s now the last thing we do before we head downstairs for breakfast; have a little boogie whilst brushing our teeth together. The only problem is that the music is very catchy, and I’m still humming it at lunchtime! 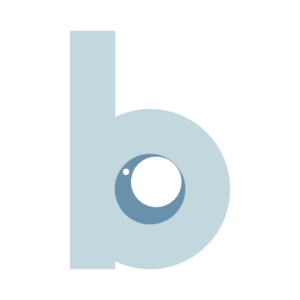 If you want to know more about the Playbrush, head to their website. You can use the discount code WHINGE20 for 20% off your order! This post was written in collaboration with Playbrush, but words and pictures are mine. Definitely an encouraging way to get them brush their teeth properly.